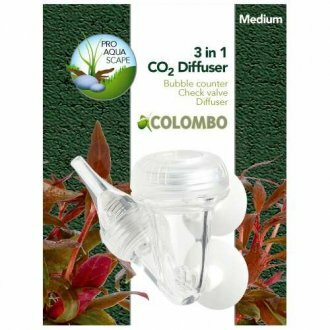 Diffusing CO2 into your planted aquarium is considered as essential for many enthusiasts today. We offer a huge range of diffusers regardless of your tank size. It's important to make sure you choose a diffuser that is sufficiently large enough to deal with your proposed CO2 flow rate. Pick a diffuser which is too small and the bubbles will be larger than desired and shoot to the top of your tank.